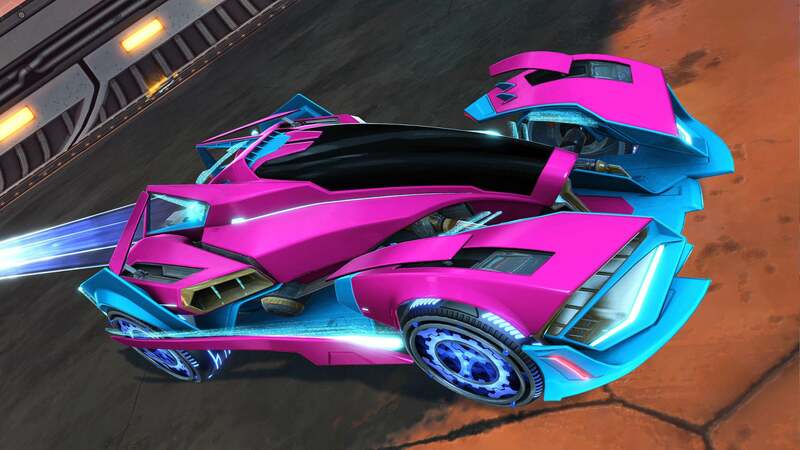 Now that Rocket Pass 2 is officially in the rearview mirror, we wanted to take a look back at some of the more impressive numbers achieved throughout its lifespan. It ran just over the three-month mark at 99 days. During that time, players rocketed to new heights and surpassed many of the records set by the original Rocket Pass. 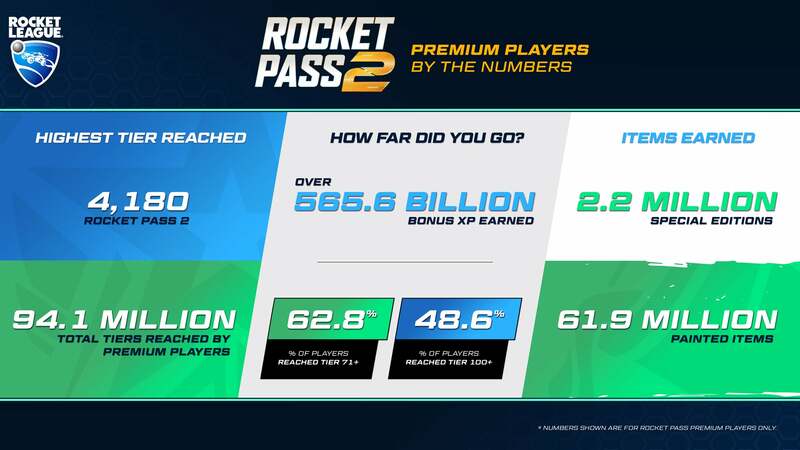 More players made it farther in Rocket Pass 2 when compared to Rocket Pass 1, and the total number of XP earned by the community was in the trillions! A select few players even made it to Tier 1000 and beyond. When it came to items, players expanded their garages with millions of Painted and (NEW!) Special Edition drops that came from the Pro Tiers. Check out the incredible stats in the infographic below. Thank you to all who participated in Rocket Pass 2. 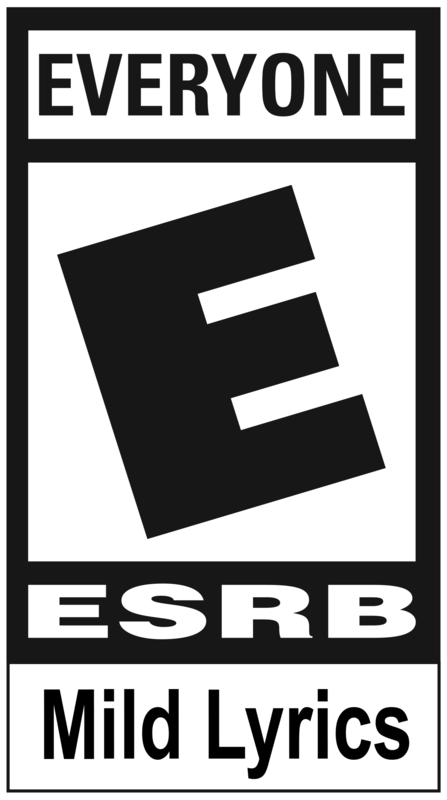 We hope you enjoyed the unique items that were included in the Pass, along with the extra XP, and we'd love for you to let us know what your favorite items were on Twitter, Discord, and Facebook. We're excited to share more info about the future of Rocket Pass and Rocket Pass 3 next week.